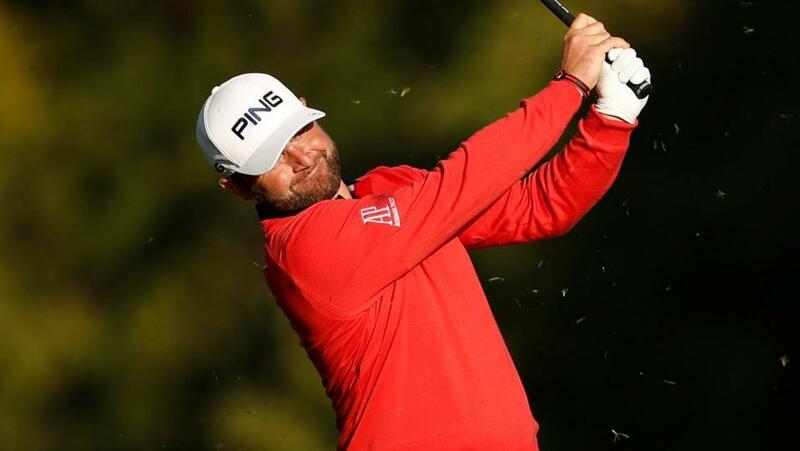 First staged in 2007, and won by England's Steve Webster, the Portugal Masters is now an established event on the European Tour. It's always been staged at the Dom Pedro Victoria Golf Course (formally known as the Oceânico Victoria) and this will be the 12th renewal. We've seen numerous dramatic finishes but in 11 previous renewals, there's never been a playoff. The Arnold Palmer-designed Dom Pedro Victoria Golf Course opened in 2004 and it staged the World Cup of Golf a year later, when Wales just edged out Sweden in a weather-shortened tournament. An exposed course with water in play on seven holes - it's been the venue for this tournament from day one. The well-bunkered fairways are fairly generous in width and the bentgrass greens are slightly larger than average and undulating. The rough is usually minimal and often not very punishing and that's probably going to be the case again this year. In previous years they've closed the course for a few weeks to over-seed a ten metre strip of rough with ryegrass but the event moved forward a month from October to September last year and they only closed the course ten days before the event started. I suspect they've done something similar this time around given it's a resort course. Prior to the 2012 edition the rough was changed to Bermuda and the third hole was changed from a par five to a par four. It's a resort course that the pros usually devour. The two winners before the schedule switch amassed a 23-under-par winning score and in 2014 Alex Levy won in 18-under but they only played two rounds! Martin Kaymer shot 61 in the opening round of the very first staging, Scott Jamieson shot 60 in round three six years ago and Nicolas Colsaerts opened up the 2015 renewal with a 60 before Levy shot 61 in round two. Last year's winner, Lucas Bjerregaard, reached 20-under but he won by four and I suspect now the tournament has moved forward, that's a target that might not be reached. The weather is warmer, rain is more seldom, and the course will generally run faster and harder that it used to in the old October slot. What Will it Take to Win the Portugal Masters? The last three winners have ranked 15th, 25th and 11th for Driving Distance and I'd slightly favour length over accuracy here but it's certainly not essential. David Lynn won here five years ago ranking just 67th for DD and Marc warren and Graeme Storm finished second and third 12 months ago ranking 42nd and 63rd so a lack of length can be overcome. Bjerregaard only ranked 33rd for Scrambling but five of the six winners before him ranked first or second for Scrambling and as well as Scrambling, the most important stats to focus on are Birdie Average, Par 4 Scoring and Putting Average. Bjerregaard ranked fifth and Harrington second for Par 4 Scoring but the three winners before Pod all played the par fours better than anyone else and seven of the 11 winners to date have made more birdies than anyone else. Bjerregaard ranked number one last year and Mikko Korhonen (tied third) was the only player in the field to record more birdies than Harrington in 2016. We can look at the figures all we want but this is basically a birdie-fest and a putting contest. And Bjerregaard also ranked first for Putting Average. As did both Harrington and Levy. Two courses that appear to correlate nicely are the Emirates, home of the Dubai Desert Classic, and Doha, the venue for the Qatar Masters. Bjerregaard has drawn a blank in Dubai and Harrington hasn't played there for a long time but he was second there back in 2001. The 2015 winner, Sullivan, has finished second, fourth and sixth in three of the last four Dubai Desert Classics and he finished ninth in Qatar on debut in 2013. The 2014 winner, Levy, was fourth in Dubai in January and the runner-up here four years ago, Nicolas Colsaerts, like Sullivan, has top-tens at both tracks and five of the first seven winners here had plenty of form at both venues too. The 2013 winner, Lynn, who has since retired, was third in Dubai and he had back-to-back top-11 finishes in Qatar. In 2013 and 2014, the inaugural event winner, Webster, finished fourth and fifth in Qatar and seventh and fifth in Dubai. The 2009 winner, Westwood, has been runner-up at the Dubai Desert Classic three times and has twice finished inside the top-five in Qatar. Richard Green, successful here six years ago, has also won the Dubai Desert Classic and he has two top-four finishes in Qatar, and Alvaro Quiros, who was, and may still be, based at Dom Pedro Victoria Golf Course, has won all three events. This is a great event for outsiders and Lee Westwood, way back in 2009, is the only well-fancied winner in the event's entire 11 year history. Bjerregaard was matched at [70.0] before the off last year, Harrington was matched at [130.0] in 2016, Sullivan was a [55.0] chance in 2015 and Levy went off at around [80.0] the year before. Lynn was matched at [120.0] in 2013, Shane Lowry was another [80.0] chance in 2012 and I was lucky enough to back Tom Lewis 12 months before that at a whooping [160.0]. Richard Green in 2010 and Steve Webster in 2007 were big outsiders and Quiros, in 2008, was yet another winner to go off at [80.0] so don't be afraid to back a few outsiders this week. And maybe concentrate on the younger pros - five of the last seven winners have been in their 20s. If we disregard the misleading curtailed 36-hole event of four years ago, six of the other nine winners were within three of the lead after round one. Bjerregaard sat two adrift and tied for eighth. The Dane sat second and just one off the pace and he led thereafter and Pod was on the premises throughout a year earlier. He sat 12th and three back after round one and third after rounds two and three, trailing by just a stroke. Sullivan won wire-to-wire in a canter three years ago and David Lynn is the only other first round leader to claim the trophy but he was one of numerous winners to come from some way off the pace after three rounds. I wrote about early leaders bouncing back in round four in yesterday's debrief and examples don't get much better this. Having tied for the lead after rounds one and two, Lynn dropped to six off the pace and a tie for 16th after a disappointing 73 in round three but he shot 63 to win by one and the two winners before him had both trailed by four with a round to go. Green had been an incredible seven adrift before going on to win by two strokes in 2010. If you're betting in-running, the final four holes offer up two good birdie chances and two tough holes. The drivable par four 15th and the par five 17th are chances to pick up a stroke or two but the par three 16th isn't straightforward and the finishing hole is really tough - especially off the tee - and a par there is always a good score. For the second year in-a-row, only the par four seventh hole played harder than the 18th last year. Now that the tournament has moved forward a month in the schedule, the draw could be significant factor again this year and the days of players threatening to break 60 around the Dom Pedro Victoria Golf Course could be over. The rough was again sparse 12 months ago but the greens were faster than they ordinarily are in October when the course is more likely to have at least a smattering of rain. There was a disparity in the scores of almost two strokes on day one 12 months ago, with the afternoon starters disadvantaged. The wind got up fractionally but the main reason for the rise in coring was the speed of the greens. It's much harder to find the pins on faster greens as the ball has far more run. In the cool early morning conditions, the watered greens are much more receptive and scoring is easier. Those that get drawn in the morning on Thursday will see the course at its very best. A pair of Danes head the market, the defending champ, Bjerregaard and Thorbjorn Olesen, and neither make any appeal at the prices. Bjerregaard was narrowly beaten last time out in the Omega European Masters a fortnight ago but nobody has ever successfully defended the title and Olesen is likely to have his mind on next week's Ryder Cup - in which he makes his debut. Like Bjerregaard, Olesen is in decent form at present but with course form figures reading 34-50-50-21-16-MC, he's easy enough to swerve. Although he's not played here for eight years, Charl Schwartzel's course form is decent enough, reading 7-MC-6-9, and he was eighth two weeks ago in Switzerland but he too looks short enough given he doesn't get his head in front very often, especially away from his homeland. The 2012 winner, Shane Lowry looks an extraordinarily short price given he's only won once in the last six years since that win and an out of form Sergio Garcia looks better priced, although still too short, as he bids to find his game ahead of next week's Ryder Cup. Having given a pick by captain Bjorn, the Spaniard will have been practicing hard I imagine and a bold showing can't be ruled out. Eddie Pepperell led here after round one two years ago before missing the cut and losing his card and he was third 12 months ago. He's also a winner of the aforementioned Qatar Masters and he finished well last week to grab sixth but again, he makes little appeal at the price. With so many at the front of the market shorter than I'd have liked, it stands to reason that I'm keen on a number of players further down the list and in addition to my each-way selection, Andy Sullivan, I've played five others at prices ranging from [46.0] to [400.0]. Haotong Li fell away disappointingly last week in the KLM Open but the Dubai Desert Classic winner looks a great fit for the venue. He kicked off last year's event slowly on debut but finished nicely to grab a top-25 finish and I thought he was just about worth chancing at [46.0]. The 2014 winner, Alex Levy, is showing glimpses of form and he's a prolific enough winner to risk at [50.0] and I've thrown a few pounds at the Shot Clock Masters champ, Mikko Korhonen, at [80.0] given he's sneaking back in to form and he plays the course particularly well. Like Korhonen, Joakim Lagergren contended here two years ago and he looked far too big to me at [160.0] given, like Korhonen again, he's now a European Tour winner, having won in Sicily and last and probably least, I've throw a few pounds at Alvaro Quiros, who's shown recently that he's more than capable of suddenly finding something from somewhere. I don't know whether he still lives in Vilamoura but he certainly did a few years ago and nobody knows the track better. I'll be back on Thursday night or on Friday morning with the In-Play Blog.